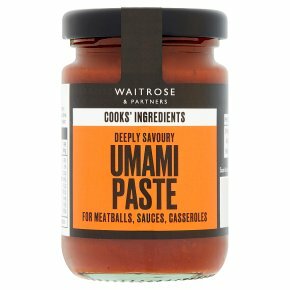 Umami paste enhances the savoury flavour of any dish, try adding to meatballs or spaghetti to add depth of flavour. UMAMI PASTE …BRING MAGIC TO MINCE …AND FULLER FLAVOUR …WITH THE FIFTH TASTE. Savoury flavour enhancing cooking paste. Try adding to meatballs or spaghetti to add depth of flavour.